In Victorian times, certain flowers had specific meanings. 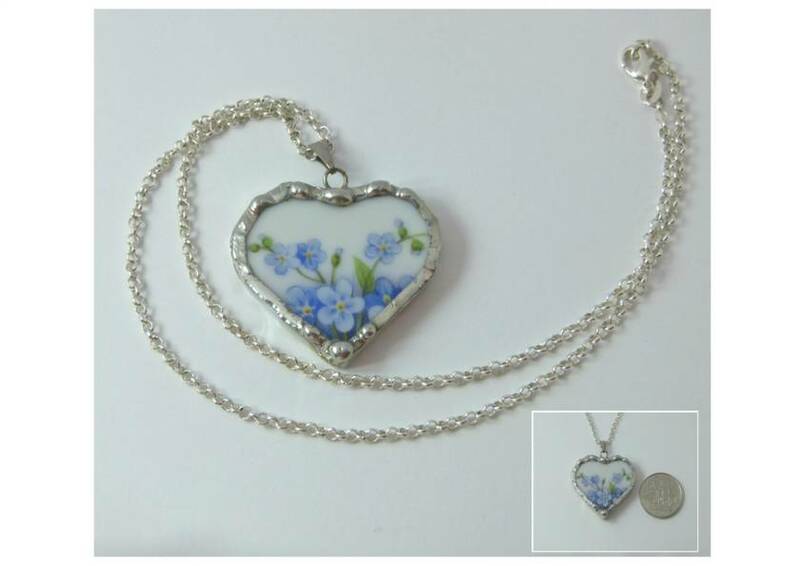 Forget-Me-Nots symbolise true, faithful love and fond memories. As the name suggests, they are given or used to decorate gifts with the hope that the recipient will not forget the giver. 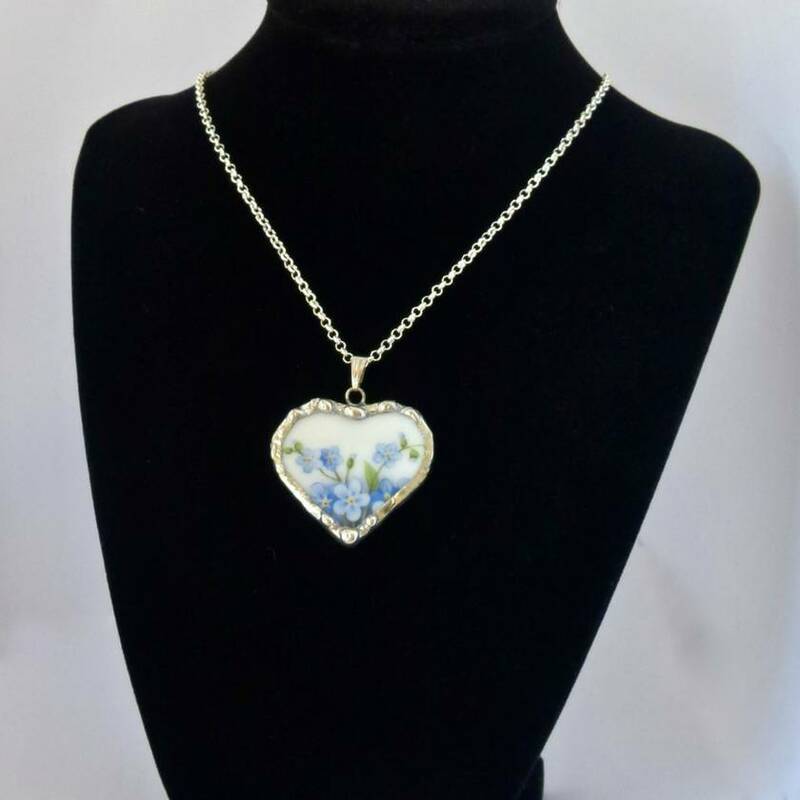 "Remember me for ever - forget me not"
Up-cycled & handcrafted from a china plate, I have cut and fashioned it by hand into a heart-shaped pendant. Once shaped, I then frame and embellish the pendant using lead-free silver solder. 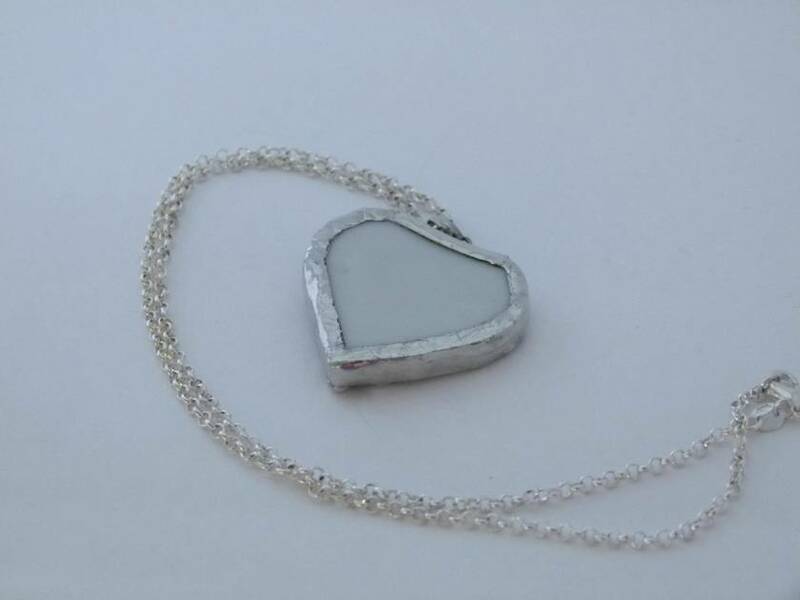 The end result is a one-off original and unique piece of jewellery. 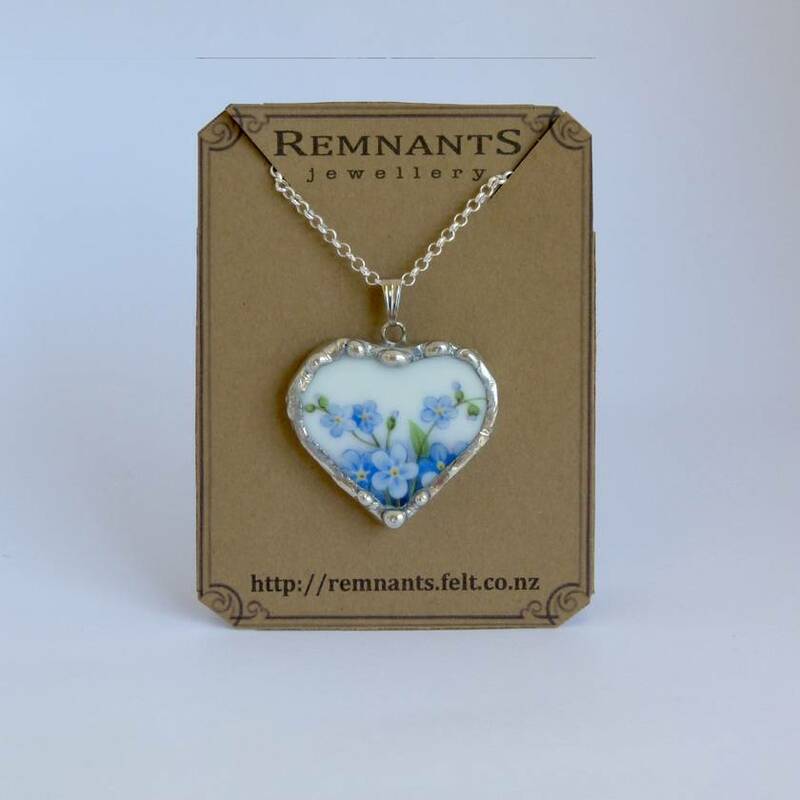 Because all my jewellery is handcrafted from china/crockery that have been damage or broken due to their age and or use, at times there may be inconsistencies. E.g. the glazing could be crazed, it may be thicker in one place compared to the rest of the piece - this is especially true where I have used the rim of the plate. Chips or cracks could also present. I call this "imperfectly perfect" and it's what makes each and every piece unique! It is only optional, but due to the value and nature of this item It is highly recommended that you choose the "Courier & Signed" postage option. Are usually shipped within 1 to 5 business days from receipt of payment, via New Zealand Post. Items will be shipped to the address given by felt.co.nz unless specified otherwise. I have quoted a price of $20.00 as a ball-park figure. Please contact me for a more accurate price to specific destinations, as the postage price may be lower than the one listed! If you are not completely happy with your order, please contact me within 5 days of receiving the order. You, the customer will assume all shipping charges involved in the exchange. Contact remnants to enquire about payment or shipping options. Most things deserve a 2nd chance...except cockroaches! !